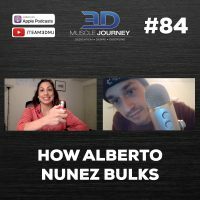 When most people think of Alberto Nuñez, they think of pop-tarts, shredded glutes, and extreme vascularity. And while these may have become his hallmarks, they wouldn’t be nearly as impactful if he didn’t have the muscle mass to accompany them. In today’s episode, Andrea sits down with Alberto one-on-one to discuss his off-season plans. They start by discussing his past post-competition experiences, transition to this year’s post-competition experience, then finish with Alberto’s plan and goals for not just 2018, but for the rest of his 30s. 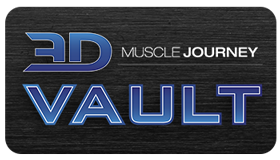 If you are a younger bodybuilder who is searching for ways to maximize your physique, we highly suggest giving this episode a listen. Alberto shares unique insights that completely contradict the popular statements we see on Instagram which could save you years of frustration and counterproductive focus.